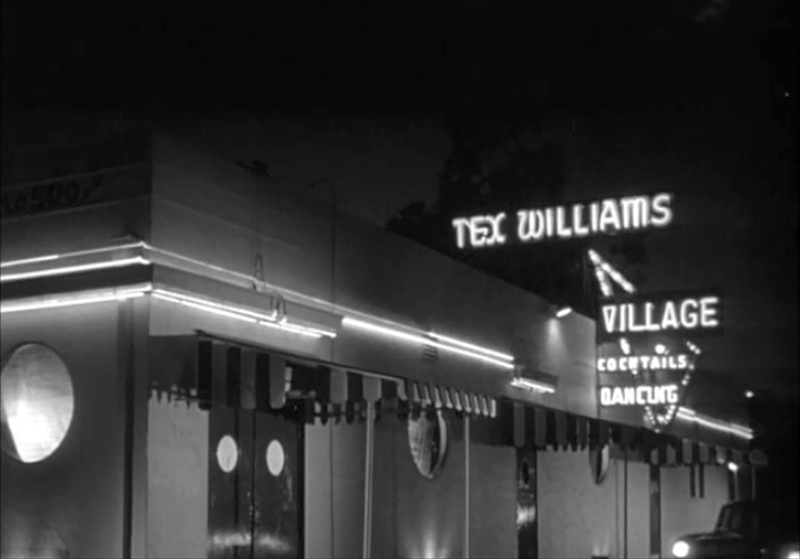 SCVHistory.com LW2984 | Newhall | Tex Williams' Village Nightclub, 1962. 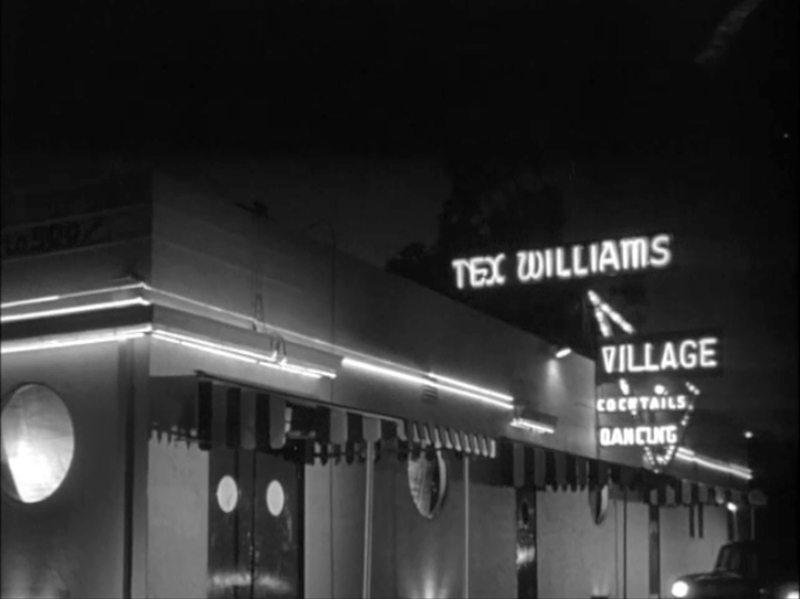 Singer-Actor-Newhall resident Tex Williams' Village nightclub, previously known as the French Village (est. 1926), at what is now 23737-23755 Newhall Avenue. As of 2017, the building still stands. 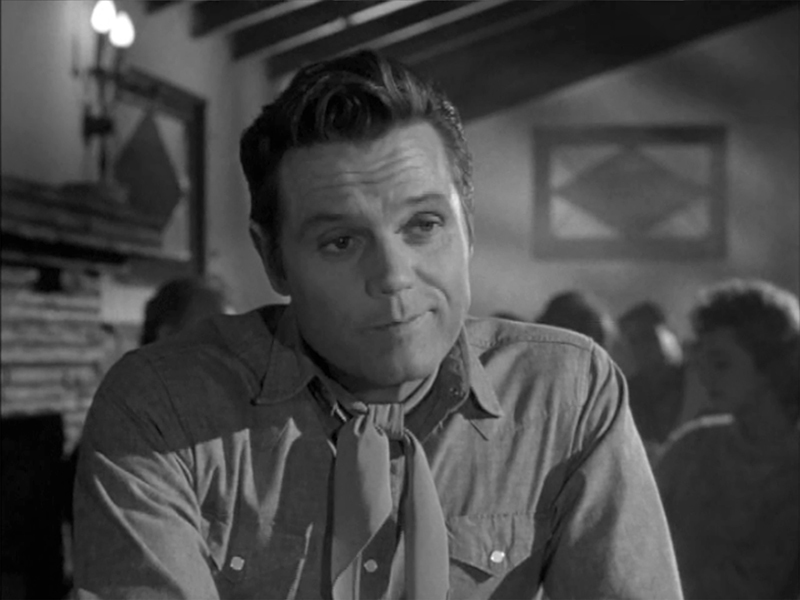 These screenshots show the Village as it appeared in Season 1, Episode 1 of the ABC television series "Stoney Burke" (1962-1963) starring Jack Lord (of later "Hawaii Five-O" fame), Warren Oates ("The Wild Bunch," "Stripes") and Bruce Dern. This episode, titled "The Contender," premiered Oct. 1, 1962 — which can't have been long after Williams bought the nightclub. Williams (1917-1985) and wife Dallas (1916-2001) moved to the Happy Valley section of Newhall after their house in Bel Air burned down in the early 1960s, and Tex bought the French Village on what was then San Fernando Road. 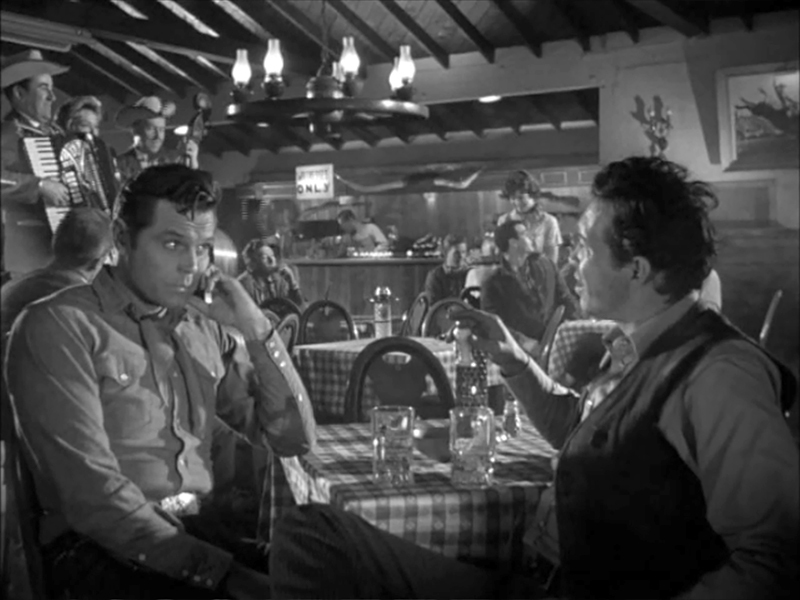 "Stoney Burke" appears to have been based at Bonelli Stadium, aka Saugus Speedway; the title character, played by Lord, is a rodeo contestant. The series uses many SCV locations. LW2984: 9600 dpi jpegs from screenshots.